Justice League is one of the year's most eagerly anticipated films and as fans get closer to the film's release they're also scrutinizing every image from the upcoming film. Now, eagle-eyed fans have spotted Chernobyl in one of those images. Reddit user lensgana posted an image in the DC Cinematic subreddit today that showed what appeared to be a derelict amusement park in images on a screen behind Wonder Woman. It turns out the amusement park pictured is none other than Pripyat amusement park in Pripyat, Ukraine, the city near the Chernobyl nuclear reactor. The Pripyat amusement park never officially opened as it's opening day were cancelled following the Chernobyl disaster occurring a few kilometers away from the city on April 26, 1986. When Pripyat was evacuated -- and subsequently abandoned due to radiation -- the park and it's Ferris wheel became a symbol of the Chernobyl disaster. For eager Justice League fans, however, the amusement park sighting might be a clue as to important plot points of the film. Some of the comments on the thread have guessed that Pripyat is the location of one of the Mother Boxes or even a Boom Tube generator, while others are theorizing that Chernobyl may be the site of the final battle between the Justice League and Steppenwolf who has come to Earth with his Parademons to find the three Mother Boxes. Whatever the part Pripyat plays, fans will find out when Justice League opens in theaters November 17. Justice League currently has a 4.18 out of 5 ComicBook.com User Anticipation Rating, making it the third most anticipated upcoming comic book movie among ComicBook.com users. 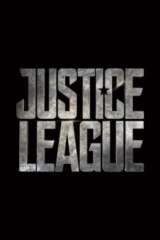 Let us know how much you’re looking forward to Justice League by giving the movie your own personal ComicBook.com User Anticipation Rating below.